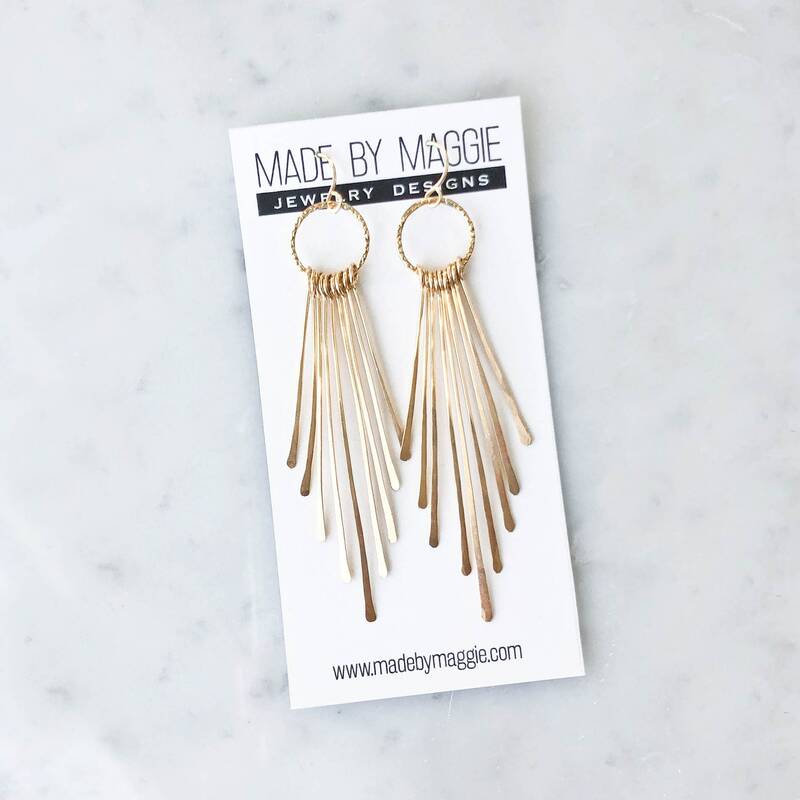 These new KARMA collection Handcrafted Fringe Earrings by MADE BY MAGGIE combine, darling, dainty and dramatic! 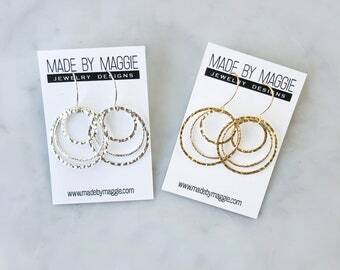 Small textured hammered circles dangle shimmery hand hammered fringe that catches the light just right. This timeless design transitions easily from day to night. The new MADE BY MAGGIE Karma Collection is filled with versatile pieces that can be worn alone for a simple statement or coordinate really nicely with other designs in the collection. 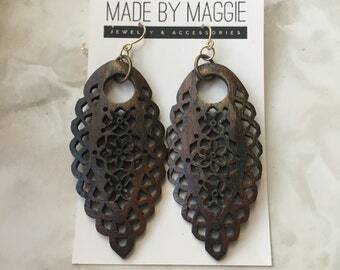 They are extremely lightweight, as are ALL of Maggie's designs, and dangle approximately 3 1/2 inches from the earwires. Available in sterling silver or 14K gold filled. 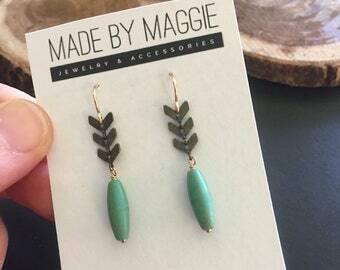 Made by Maggie uses high quality materials such as sterling silver and 14K gold fill. Metal can tarnish over time and a simple polishing cloth will shine your jewelry back up to sparkly new. It is NOT recommended to get leather and cork products wet. In fact, some of my dyed cork bracelets may bleed if they get wet. Avoid water and sweat while wearing these bracelets. I am not responsible for products damaged by getting them Wet or sweating with them on. I've lost ONE earring. Can I order a replacement? Sometimes. Depending on the earring. Please message me to find out... And please remember that when jewelry is handcrafted with love, each pair may be slightly different, however, each pair is matched to my best ability. This can make things a bit challenging for me to create you a new match when you have one earrings and i'm trying to make another to match it. Ya feel me? PS. DON'T be a rebel. Wear the plastic backs that I provide with each pair. 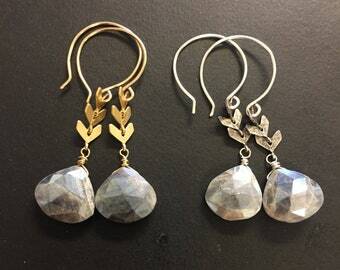 My earrings are really lightweight and it's easy for one to fall out without you even noticing. On some items but not all. Please message me which items are of interest to you and I can send you my 2018 wholesale pricing. All of my items come in a white craft jewelry box with a ribbon and cute business card, perfect for gift giving! If you order multiple items, I typically try to consolidate to one box unless you request otherwise. Make sure to read the item description of my listings and swipe through ALL the photos. Often times, within it, you will find a picture on a model for size reference and sizing information and recommendations.